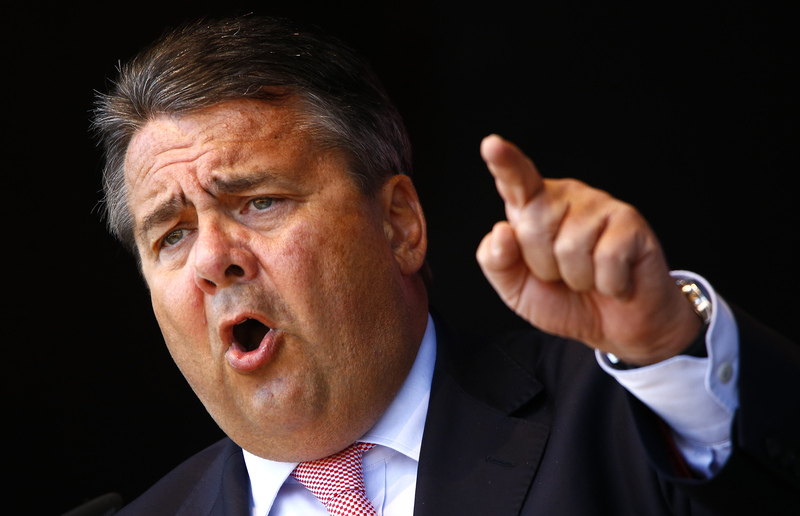 Economic minister Sigmar Gabriel is trying to forge a counterbid for the robot maker. Yet Chinese Midea’s $5 bln offer is already frothy. Berlin would have to turn to industrial politics à la française, and maybe even take a direct stake. Better to let markets run their course. The German government is trying to coordinate an alternative offer for industrial robot maker Kuka following Chinese home appliance maker Midea Group Co Ltd’s 4.5 billion euro ($5 billion) takeover bid, the country’s economy minister said on June 1. “There are efforts to formulate an alternative offer. Whether that materialises, we will see,” Economy Minister Sigmar Gabriel told reporters in Berlin. Midea on May 18 said it intends to offer 115 euros per share in cash for Kuka. The offer values Kuka, a supplier of robots to automotive manufacturers, at 36 percent above the closing share price of 84.41 euros on May 17. Midea has 13.5 percent of Kuka’s shares and wants to raise its stake beyond 30 percent.